Faction Rallies has been going on all week so far, but it’s this weekend that most of us are going to get the chance to take part. But why should we all definitely be taking part in Faction Rallies this weekend? Last week we talked about why Guardians should definitely be playing Iron Banner as much as possible over the weekend, and with Faction Rallies the situation is very much the same. Though there are some added extra reasons that every Guardian should consider. Firstly, remember that the event, Solstice of Heroes, begins at the end of the month. The event will use Moments of Triumph in order to reward Guardians for the things they’ve done in Destiny 2 year 1. So far there are still 5 Moments of Triumph to be revealed and no one knows what they are yet. We’ve already speculated that one of these 5 hidden Triumphs is reaching Rank 50 in Iron Banner during Season 3. We’re now saying that another is reaching Rank 50 with either Dead Orbit, Future War Cult, or New Monarchy during Season 3. This is easy to suggest and hard to prove, but if you look at the Crucible and Vanguard faction ranks then you can see reaching rank 50 is indeed a Triumph. It stands to reason that it could be a potential Triumph to reach rank 50 with a faction, not all though just one. However, there’s a bit more to Faction Rallies than just reaching rank 50 as a potential Triumph. Another Triumph in the list that’s actually been revealed is collecting 25 pieces of Exotic Armour or Weapons. If you’ve been going to Xur each week then there’s a good chance you’ve finished this one, but if you haven’t then reaching rank 50 with a faction is a good thing to do. There are Exotic armours for each faction available to purchase if you reach rank 50 in Season 3, but that means you’ve really got to grind from here on out in order to get them. These are top tier pieces of Armour and they’re really awesome to own, because not only are they faction-exclusive but they’re also adding to your collection. Faction Rallies is more about exploring the world and completing Public Events than it is about killing others in the Crucible like Iron Banner. There are challenges to complete every day, and if you run around a planet for long enough you’ll be earning big rewards in no time to turn in to those faction leaders. Whilst you’re running around completing events for Faction Rallies you could also be locating chests on each planet. Opening these is going to add up to completing another Triumph for you, basically meaning that you can be completing three Triumphs this week instead of just one. 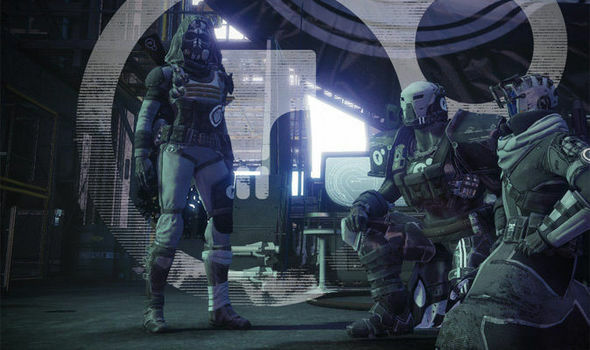 Unfortunately Faction Rallies won’t help you with any other Triumphs at the moment, but no one knows for sure what the hidden 5 Triumphs are so we might be in luck If there is a specific number of enemies you’re required to have killed by the end of the event then this will definitely help, and if there’s a Triumph for how many Public Events you need to complete then this will help also. Other than those, we can only hope the hidden 5 Triumphs are kind and don’t ask too many hundreds of hours of us. Let us know how you get on in Faction Rallies this weekend in the comments.